Stonebrook’s goal is to ensure comfort and optimum care our client's horses. We focus on quality and accept nothing less, making sure that every detail has been attended to. 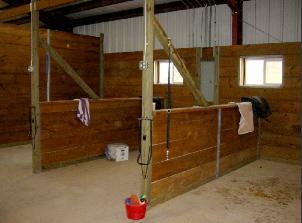 For example, we do not just provide mats in each stall. 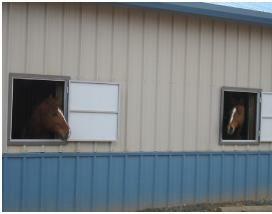 We provide mattresses, a system proven to cater to the comfort of the horse. We see the results such a choice makes when we walk into the barn at night and every horse is laying down! Attention to such details is what makes the difference. Stonebrook Equestrian Center is proud to offer Full Service care for your horse. Relax......and have a great ride! 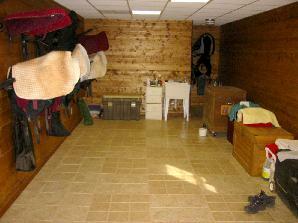 Office has internet service, equine library, and a lounging area. 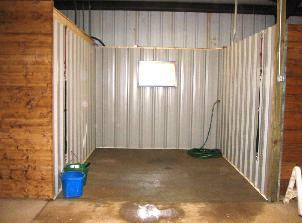 Each 12x12 stall features a stall mattress system, large dutch window, communication panels between stalls, and automatic waters. 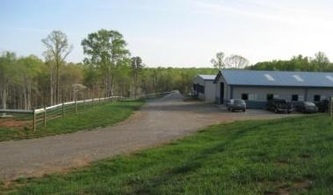 Our Smaller barn features 6 additional stall and can accommodate mares and foals or extra large horses. 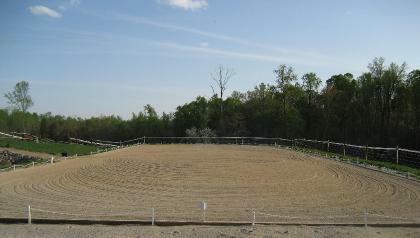 Our feed system is specially tailored to the needs of your horse and we provide ample hay when horses are stalled. Turnout in small groups or individual paddocks on pastures with ample grazing.